Lichen: a tender lick; the energy of touch with the tongue, often for the purpose of absorbing water or nutrients, or, sexually, to aestheticize that. If your whole body is a tongue, you can be a lichen: a permanent union of two species as one tongue. This is a sympathetic energy: a lichen is a split, like a drop of water bursting, because it embodies water’s energy; a human tongue is wet because it is one with the water it seeks to replenish itself with by licking a stone. A stone is not a tongue. It is a face. 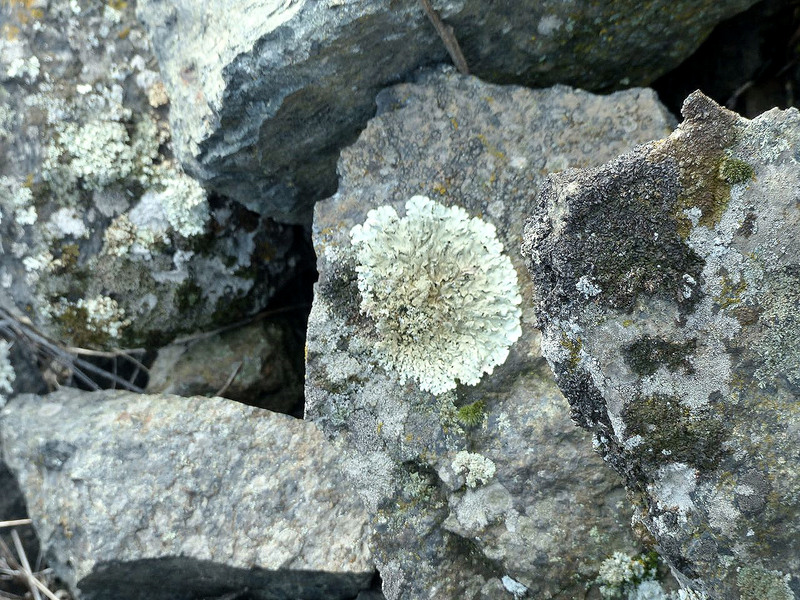 Love that Lichen, Love that Rock!